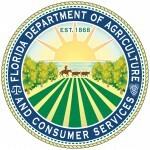 Agritourism is diverse in Florida, from U-pick farms to wineries, crop mazes to dairy farms, and even farm weddings, according to Melissa hunt with the Florida Department of Agriculture and Consumer services. Of course, Florida is known for citrus. Destinations like Mixon Fruit Farm allow visitors to learn about citrus and try locally grown fresh fruit or juice, as well as other products. Tours and tastings are increasingly popular at places like St. Augustine Distillery, located in the historic FP&L Ice Plant building in the historic city. First Magnitude Brewing Company in Gainesville is named for the most powerful freshwater springs, prevalent in that region. Visitors there can choose from 20 craft beers on tap. At Hutchinson Farm Winery in Apopka, Duke and Sherry Hutchinson welcome guests to an intimate setting. The tasting experience at Hutchinson Farm Winery includes five different wines, as well as a seasonal blueberry wine. Tasting local honey is another way to enjoy Florida agriculture. Florida’s signature orange blossom honey features the citrus flavor of the orange groves found primarily in the southern part of the state. Lesser-known honey flavors include Tupelo honey from the Florida panhandle and Gallberry honey, also predominantly found in northern Florida. Saw Palmetto honey, found throughout the state, is the oldest-known Florida honey. And anywhere wildflowers grow, wildflower honey comes in a variety of shades from golden to dark amber. While some farms are open year round, others are seasonal. Hunt says blueberry U-pick farms are popular, with the season lasting anywhere from six weeks to several months, depending on the varieties planted and the location. U-picks to check out include Southern Hill Farms in Clermont and Deer Park Peaches in St. Cloud. Long & Scott Farms near Mt. Dora grows produce that changes with the seasons. Autumn brings crop mazes and pumpkin patches. And though you’ll typically find corn mazes, the Amazing Grace Crop Maze is actually in a field of sorghum. 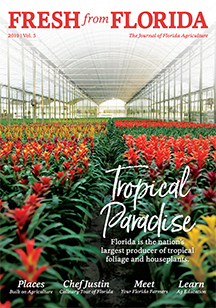 Florida offers some unique agriculture adventures not found anywhere else. Take the nursery and tropical garden at R.F. Orchids in Homestead, for example. Or see the fainting goats at Golden Acres Ranch in Monticello, and taste jelly made from native Mayhew trees on the property while you’re there. Dakin Dairy in Myakka City welcomes school groups and families for tours, a picnic, or a meal at the Farm Market Café. 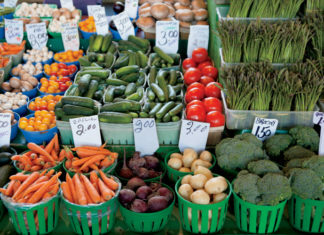 More farms are also offering educational opportunities including farm-to-table dinners, allowing guests a chance to meet a farmer and learn more about how their food is grown.